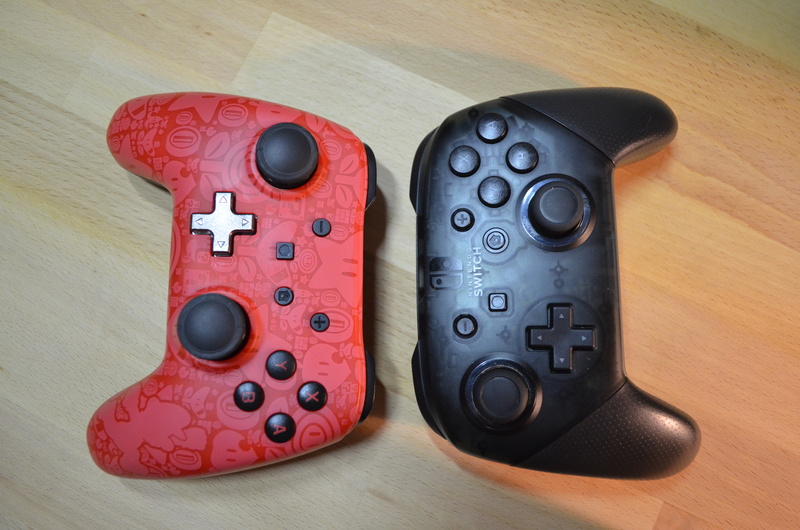 Pro Controller vs. Mario Controller: What’s the difference? 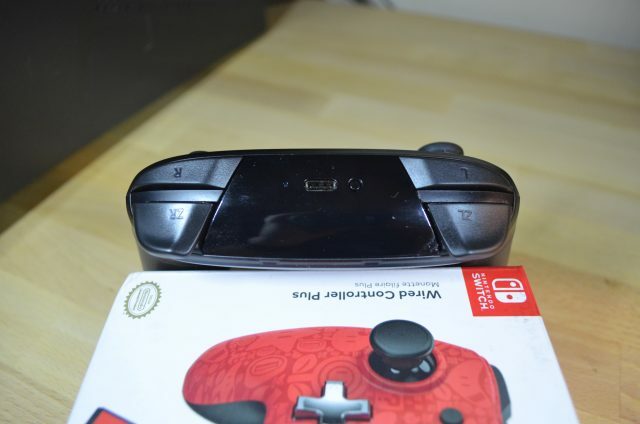 The Nintendo Switch already comes with two controllers in the box, but using the Joy-Cons sideways isn’t an optimal experience. If you love couch co-op with your friends and family, you’ll want to invest in a second full-sized controller to keep all those “but the controller is too small” excuses at bay. Luckily, you’ve got a couple of options depending on your needs. The official Pro Controller from Nintendo includes all the bells and whistles found in the Joy-Cons, but it also has an eye-watering price unless you can find it on sale somewhere. The Power A Mario & Zelda themed controllers are a little bit more reasonable in price, but you lose HD Rumble support, motion controls, and wireless capabilities. Here’s a quick run down of the differences between the two to help you decide. 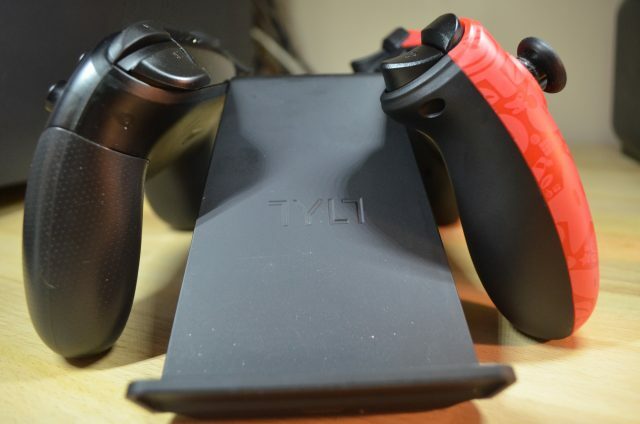 The most noticeable difference between the two controllers aside from the eye-catching design is the weight difference. 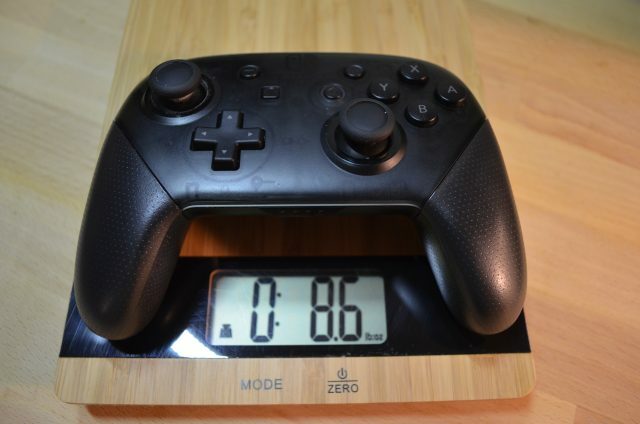 While 2 ounces may not seem like a lot in the grand scheme of things, the Power A controller is noticeably lighter thanks to the omission of HD Rumble. Light controllers tend to feel cheap, but Power A struck a nice balance between form and function here. I actually prefer using it for games where rumble and motion controls aren’t needed, like indie platformers and co-op games like Overcooked. 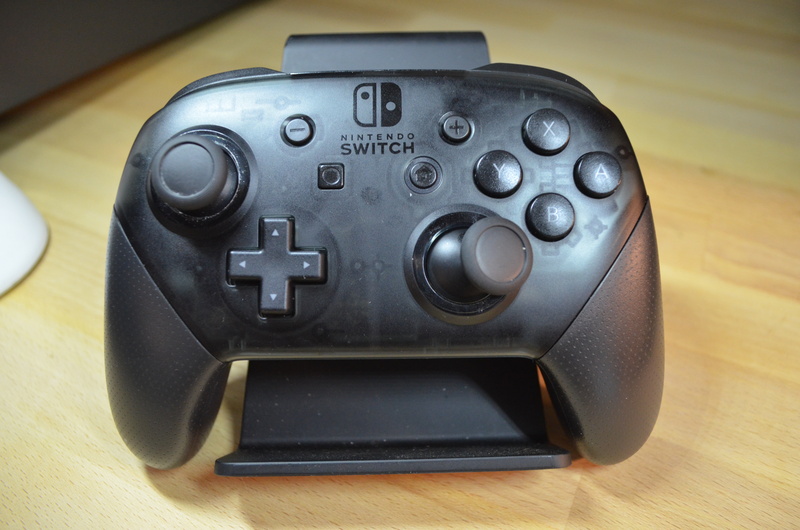 I’ve had my Pro Controller since the launch of the Nintendo Switch and it’s not very good for platformers like Shovel Knight and Axiom Verge, since I prefer to use the D-Pad to control those games. 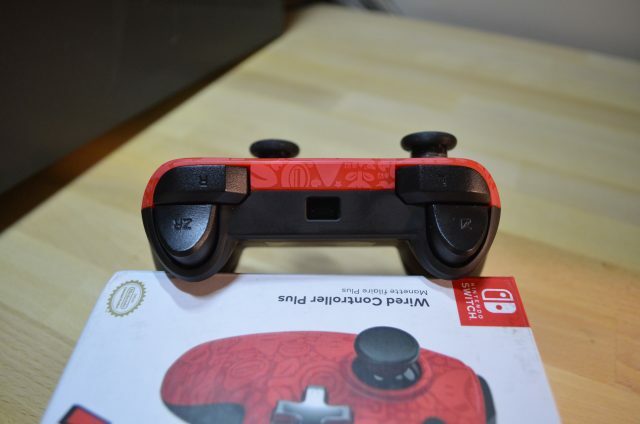 The contacts for the Pro Controller D-Pad are close enough together that sometimes you register an up and down press when you hit left or right. That can make it impossible to play a game that requires precision. The Power A controller doesn’t seem to have this problem. It’s worth noting that Nintendo has taken this criticism into account and seems to have corrected the design of the Pro Controller with the release of the official Xenoblade Chronicles 2 Pro Controller, but if you have a Pro Controller from launch you have one with this design flaw. The shoulder buttons on the two controllers are different as well and I tend to prefer the actual trigger-like design of the Power A controller over the buttons on the Pro Controller. Neither controller features an analog trigger that can determine how hard you’re squeezing the triggers, so the preference comes down entirely to shape. I’ve seen people reporting problems with the shoulder buttons on the Pro Controller feeling mushy, but mine respond nicely and I’ve not experienced any weird button presses. The shoulder buttons on the Power A controller are also placed closer together, which I prefer because it makes it easier to tap both buttons with one finger from each hand instead of relying on two fingers at the top of either side of the controller. There’s also a pretty big difference between the face buttons. 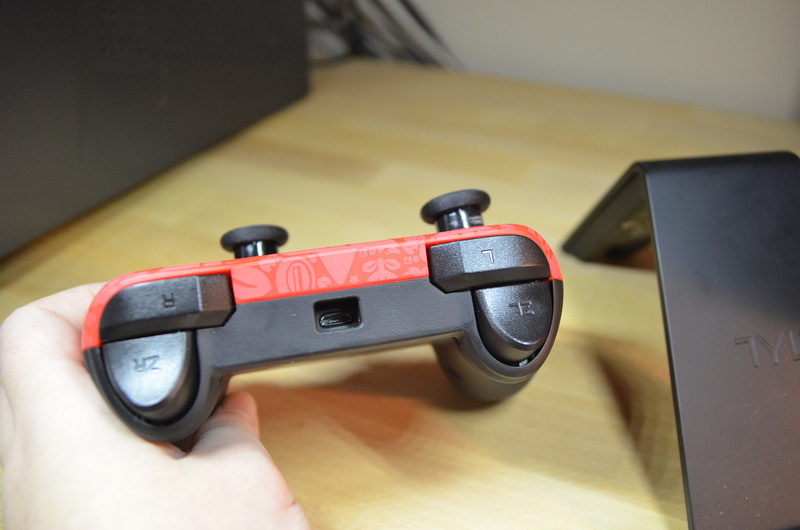 The – and + and HOME buttons on the Pro Controller sit flush with the housing, so they can be somewhat hard to press unless you have a bit of a fingernail to bear down on them. Meanwhile, the Power A controller has the buttons elevated and a little bit closer together so I feel like they’re easier to find when you’re playing in the dark. The only thing I don’t really like about the buttons is that the screenshot button on the Power A controller is a little further away from the left stick than I would like. I always have a split second of me hunting for the button when I want to capture a screenshot on the Power A controller, whereas it’s a bit easier to find on the Pro Controller. With the Pro Controller, what you see is what you get. 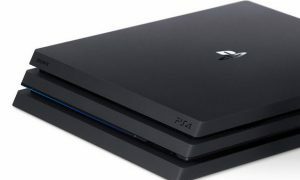 There’s no way to change the analog stick height or switch to convex analog sticks if you prefer the PS3/PS4 feel of analog sticks over what Nintendo has included. That’s not really surprising, but what is surprising is just how much you can customize the analog sticks on the Power A controller. 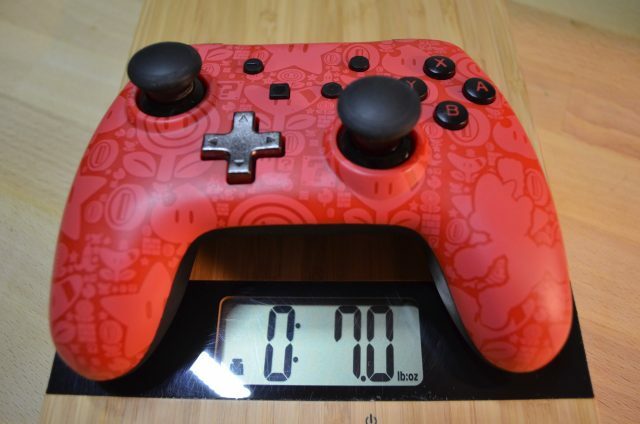 It ships with six different analog sticks, two of which have a higher height than the default standard that comes installed on the controller. If you play shooters like DOOM or first-person games like Skyrim, having a higher analog stick on the right stick can give you better camera control for aiming your gun or bow. I also appreciate that Power A included both convex and concave analog sticks, so you can choose the style that suits you best. The right analog stick on my Pro Controller has also started getting stuck in positions instead of snapping back when you let it go, which you can see in the picture above. Overall I prefer the analog sticks on the Power A controller simply because they’re so customizable. 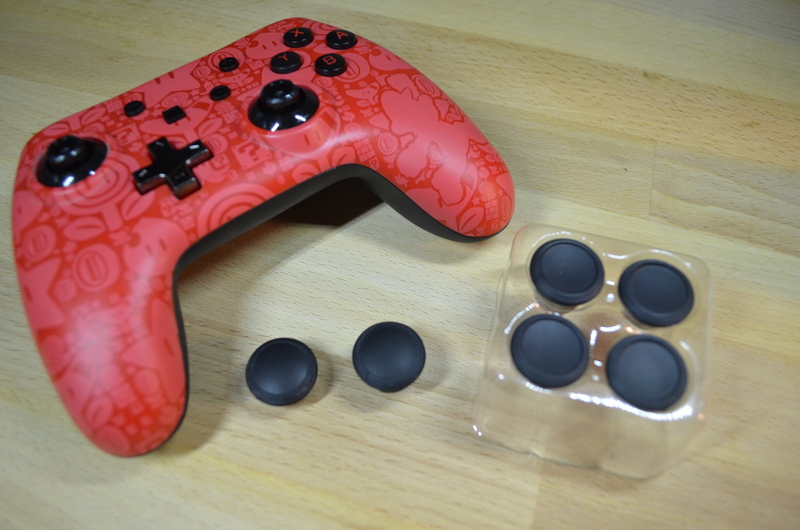 For small children it’s probably not the best since the sticks can be popped off and lost, but for anyone else I feel it’s the way to go unless you plan on popping open that $79.99 Pro Controller to mod it yourself. It’s pretty subtle, but the controllers also have a differing shape that can make the difference for people who prefer a more traditional controller. 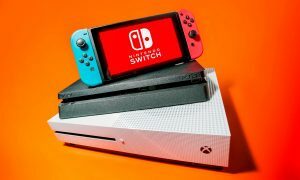 It’s hard to show off in just pictures, but you’ll notice on the picture where the two are side-by-side and leaning against the stand that the Power A controller has a more rounded shape that resembles and Xbox One controller. In fact, the Power A controller feels like the design was inspired by the Xbox One controller moreso than the Pro Controller. Both controllers fit wonderfully in my hand and I have no complaints about the shape, but having played the Xbox 360 and the Xbox One, I prefer the rounded shape of the controller “wings” on the Power A controller over the flat “wings” found on the Pro Controller. 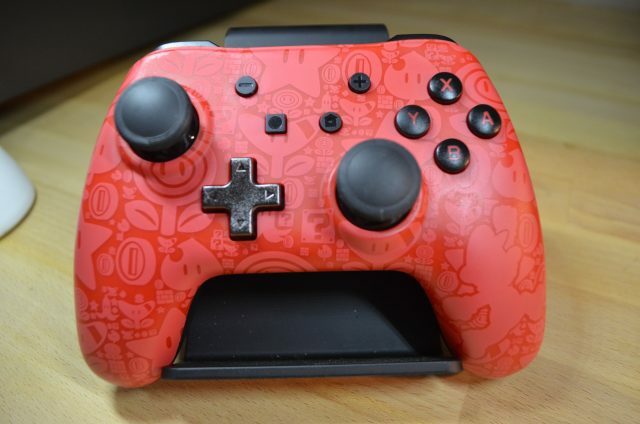 I admit this is purely a personal preference and you might prefer the design of the Pro Controller more. The Pro Controller has several distinct advantages over the Power A controller when it comes to features, specifically the inclusion of motion controls and HD Rumble. For playing games that rely heavily on this like Splatoon 2 and Super Mario Odyssey, the Pro Controller is always going to be preferred. That way you can take full advantage of the game’s features. However, I feel like the Power A controller has a place in anyone’s Switch collection, especially if you like playing local co-op games on the Switch (there’s a ton). The price difference between the two controllers is pretty significant, too. A Pro Controller will set you back $80 bucks, while the Power A controller retails for $29.99 but can often be found for as little as $20 bucks when on sale. The wire included on the Power A controller is 10 feet long which gives it plenty of reach from your Switch dock to the couch, but unfortunately the cable they included with it is microUSB instead of USB-C. It’s not really a big deal since you won’t be unplugging the controller once you have it plugged in, but it is a notable difference between the two controllers. Overall, if you’re looking for a decent, cheap Pro Controller to hand to friends and family when you want to compete against one another on the Switch, I think the Power A Mario and Zelda controllers are the best third-party option. The design looks sleek and the customization of the analog sticks is a huge plus. The improvements on the non-essential face buttons are also welcome and something I hope Nintendo considers for future Pro Controller revisions.